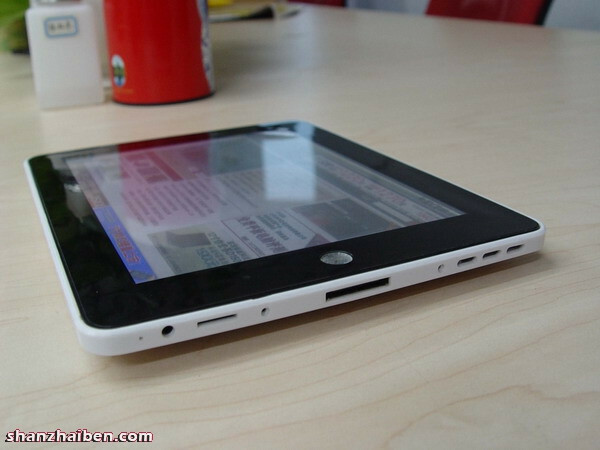 Discussion in 'Android Tablet News' started by xaueious, Aug 9, 2010. 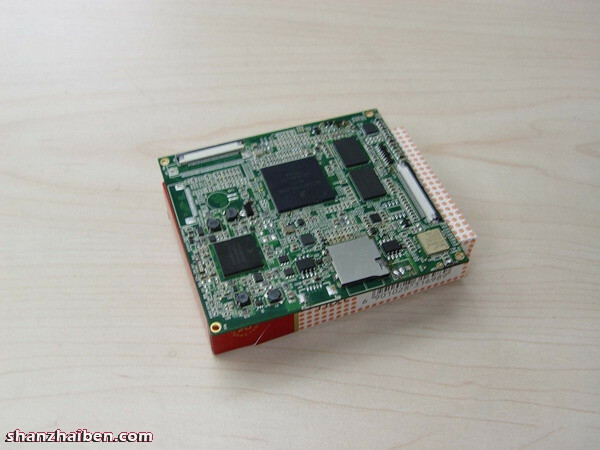 Shenzhen Utopia Technology, one of the manufacturers known to be highly involved with the Rockchip RK2808a based 7" 'Apad', is working on a Freescale iMX based prototype aimed at the mid-range market, according to Shanzhaiben. The manufacturer has had ample experience in manufacturing Android tablets, as the 7" Rockchip RK2808a tablet is currently one of the most popular Android tablet devices today. Freescale Electronics is listed as one of the members of the Open Handset Alliance and is a leader in ARM based platforms. The most prominent implementation of Freescale CPUs in a slate device thus far is in the Amazon Kindle. The CPU in the prototype is the Cortex A8 based Freescale iMX515, which operates at a frequency up to 800MHz for industrial applications, or 600Mhz for consumer applications. The specifications of the CPU fulfill the requirement for Adobe Flash on Android 2.2. Running Android 2.1, the prototype is an 8" 800x480 Android tablet which is currently equipped with a resistive touch screen. According to the article, a capacitive touch screen has been omitted, as it would add 200RMB (30US) to manufacturing costs. While the article speculates that Android 2.2 will be implemented on this device, it is difficult to make such a statement with certainty at this point. The question is whether or not the manufacturer can implement Android. In the past, most shanzhai manufacturers have not had a good track record of being able to doing in a respectable manner. While the article lists the end of August or September for the anticipated product launch date, it is unclear at this point when this will actually happen. 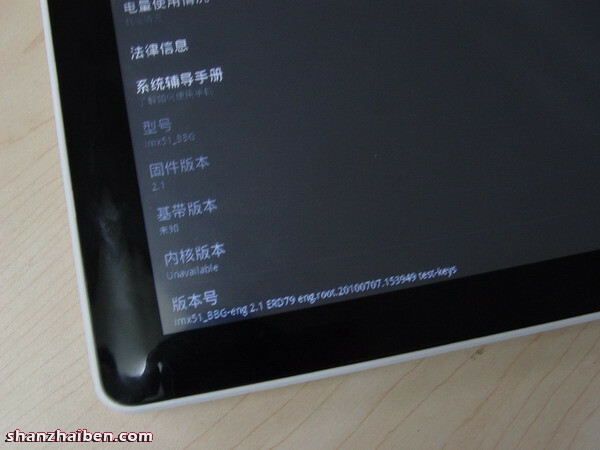 Beyond the prototype from Shenzhen Utopia, this is the first instance of the Freescale iMX5 Cortex A8 platform's implementation into a viable Android tablet device. 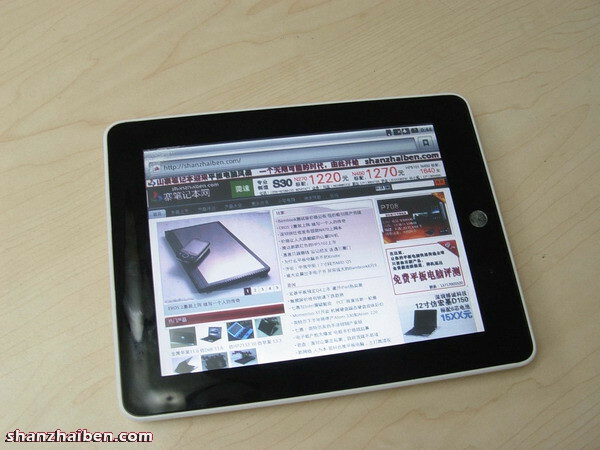 The only other Android tablet device from the shanzhai market based on Cortex A8 is the Android 2.2 capable WITS A81E. They aren't aiming for the high end tablet market. It's too much risk for them.